Integra Termite and Pest Control understands what a nuisance ants can be to your family, property, and business. With over 23 years experience in providing ant control to the Lewisville area, we can diagnose and eliminate the problem quickly and safely. 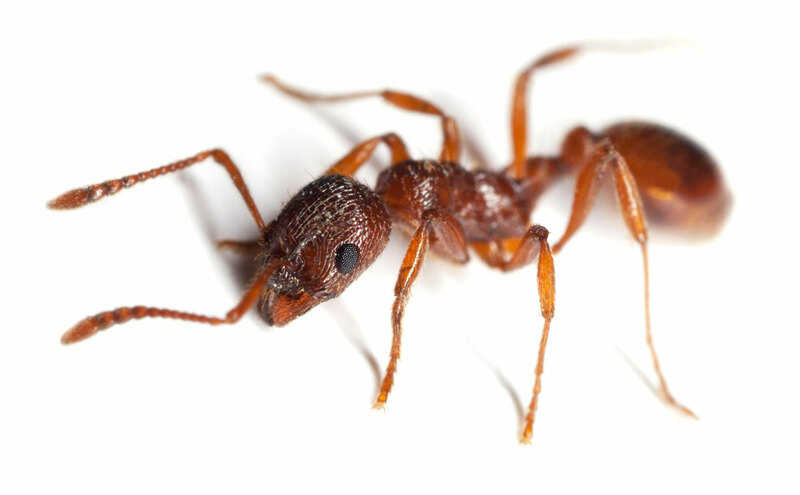 Whether it’s fire ants, carpenter ants, or any other variety – you can rely on our experience and dedication to meet your needs. All of our pest control technicians are highly trained and certified, and we use the most effective treatments that are guaranteed to be safe for use around people and pets. Fire ants can be distinguished from other ants by their copper brown head and body with a darker abdomen. The worker ants are blackish to reddish, and their size varies from approximately 1/8 inch to 1/4 inch long. They produce large mounds in open areas, and while they feed mostly on young plants, fire ants often attack small animals and can kill them. The bite of a fire ant packs a powerful punch; they actually bite only to grip, and then sting to inject a toxic venom. To people, this can be very painful, and has been compared to being burned by… fire. To some people these stings can be deadly. Carpenter ants build nests inside wood that has been chewed out by their mandibles. Unlike termites, they do not eat the wood. Sometimes carpenter ants will hollow out sections of trees, and are also known for infesting wooden buildings and structures. They are a supreme nuisance and major cause of structural damage. If you have an ant problem of any type – contact Integra Termite and Pest Control – the Lewisville ant control experts, at 817-498-5816.